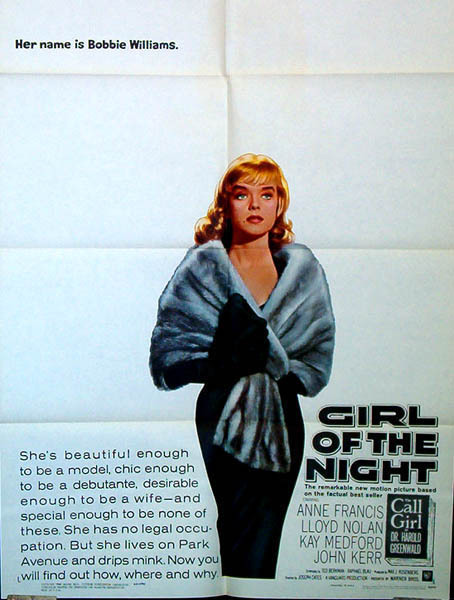 GIRL OF THE NIGHT - (1960) (b&w) 93min: Starring: Anne Francis, Lloyd Nolan, Kay Medford. 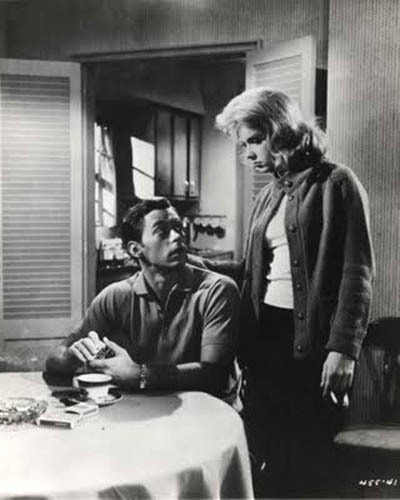 Based on a book by Dr.Harold Greenwald: The Call Girl a Social and Psychoanalytic Study. This film tells the story of a young woman who becomes a high priced call girl. She is exploited by her madam until she finds a tough yet caring therapist and straightens herself out. Solid performance by Francis in a somewhat dark "noir" period piece.